Fourteen officials indicted. Hundreds of millions of dollars involved in bribes and corruption. The federation President forced to step down. Sounds like the many scandals we've seen in large American corporations, but it's much larger than any scandal in the United States. This is much larger than any corporation, and stretches far beyond just one country. This is world wide and involves one of the most watched sporting event in the world and billions of dollars in revenue. This is FIFA, the international soccer governing body that runs the World Cup. And this is a story of years of corruption that is finally being figured out. A major inquiry by the FBI led to charges of "rampant, systematic, and deep rooted corruption amongst FIFA officials. It also led to the arrest of 7 of FIFA's top officials on May 27th in Zurich, Switzerland. The FBI had been investigating FIFA for the past 3 years, which was sparked by the bidding process that led to Russia being awarded the World Cup in 2018 and more curiously, the small Middle Eastern country of Qatar being awarded the tournament in 2022. The indictment by the U.S. Department of Justice consists of 47 counts with charges such as racketeering, money laundering, and wire fraud. It charges the 14 officials indicted with "a 24 year scheme to enrich themselves through the corruption of international soccer". The indictment also alleges that sports executives in the United States and South America paid over $150 million dollars in bribes and illegal payments to obtain lucrative marketing and media rights to various international soccer tournaments. These charges have been echoed by Charles Blazer, who has been one of the key figures in the FBI's investigation. Blazer was the General Secretary for the CONCACAF, which is the federation that North, Central, and American soccer playing nations belong to. Blazer, who has already pled guilty, has said that he and other FIFA executive committee members agreed to accept bribes in connection with South Africa being selected as the host nation for the 2010 World Cup. Blazer also said he and others accepted bribes for the broadcasting and other rights associated with 5 CONCACAF Gold Cup tournaments between 1996 and 2003. In regards to the 2010 World Cup, former FIFA President Sepp Blatter and former South African President Thabo Mbeki agreed to the deal that brought the tournament to South Africa. But U.S. prosecutors have been focusing on a $10 million dollar exchange that those prosecutors say was a bribe to secure the World Cup for South Africa. 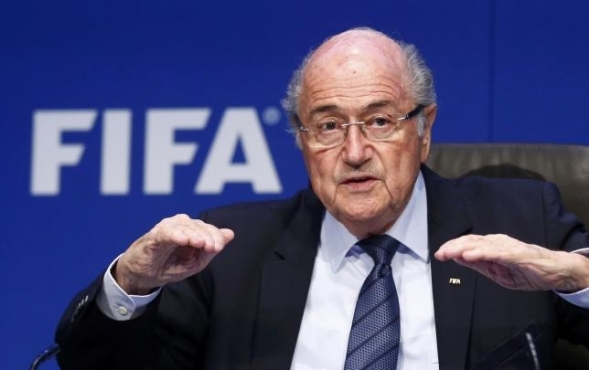 Blatter hasn't been arrested or indicted, but he did step down as FIFA's president. Both the FBI and Swiss investigators are now looking into the bidding processes for the 2018 and 2022 World Cups in Russia and Qatar respectively. It would take an overwhelming amount of evidence to result in re-bidding the two tournaments. Also, with the time available to move the 2018 tournament, and the required stadiums and infrastructure, it would be almost impossible to relocate the 2018 World Cup. But there is the possibility the 2022 World Cup in Qatar could be moved if enough evidence of corruption is found. FIFA made over $2 billion dollars from the 2014 World Cup in Brazil. The World Cup will continue to be the world's most watch sporting event. But it's evident that change needed to occur. Sepp Blatter had way too much control and influence over everything as FIFA president. A new governing body system needs to be created that will allocate power and decision making to an elected committee, thus eliminating the president's power, which many say Batter blatantly abused. Unfortunately, greed reared it's ugly head, and has been for some time in the governing of the world's most popular sport. With so much wide spread corruption and so many involved, FIFA likely needs to clean house and start fresh to regain the trust of the soccer world.